Surfboard shaping is a form of art. In this day and age, when machines have replaced almost all crafts (the surfboard industry makes no exception), riding a custom-built, hand-shaped surfboard is a deeply personal experience. 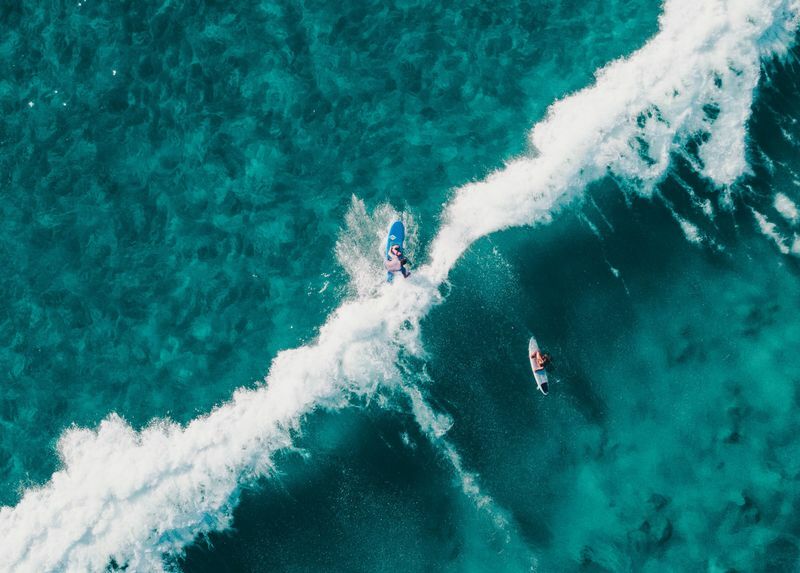 Women surfers are fighting for equality, proving themselves just as badass as the men that outnumber them in the water. Even though they are now allowed to compete in big wave surfing competitions, the surf industry remains a largely male-dominated trade. Despite that, a handful of women have managed to join the old boys’ club, shaping, glassing, and sanding surfboards, smashing the gender gap. Let’s meet the women who shape! Christine’s boards are more than a piece of surfing equipment. She doesn’t just shape surfboards, she embellishes her creations with unique art. 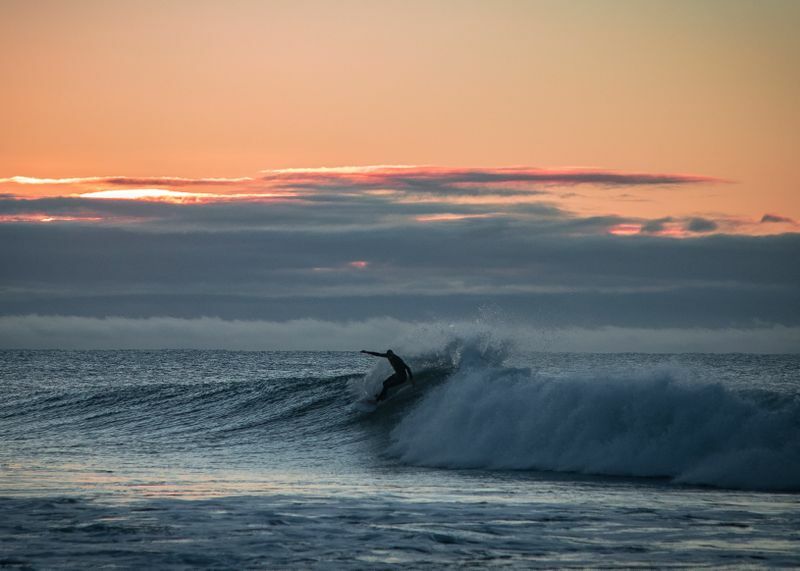 Furrow Surfboards are 100% hand shaped and custom designed using materials made in California. Having had an arts education and a background as a cartoonist and graphic designer, Christine started shaping with wood, creating Paipo boards. It was then that she met Peter and Sally St Pierre of Moonlight Glassing, as well as Cher Pendarvis (more on Cher further down), who inspired and supported her. Christine gradually progressed to foam and fiberglass, and finally opened her own shaping bay inside the legendary Moonlight-Christenson Glassing factory. Her surfboards stand out through their minimalist aesthetic – clean glass and clean color. She focuses on the form and the purity of the surfing experience when designing Fish, longboards, and almost anything in between. Her surfboards are not what most people would call “high-performance boards”. Christine focuses on creating boards that allow for effortless flow. For her, performance means gliding with pleasure, and her surfboards offer just that. In the farming world, the “furrow” is the trench plowed in the earth to plant seeds. It is the start of the new growth. That’s precisely what Furrow Surf Crafts is to Christine. 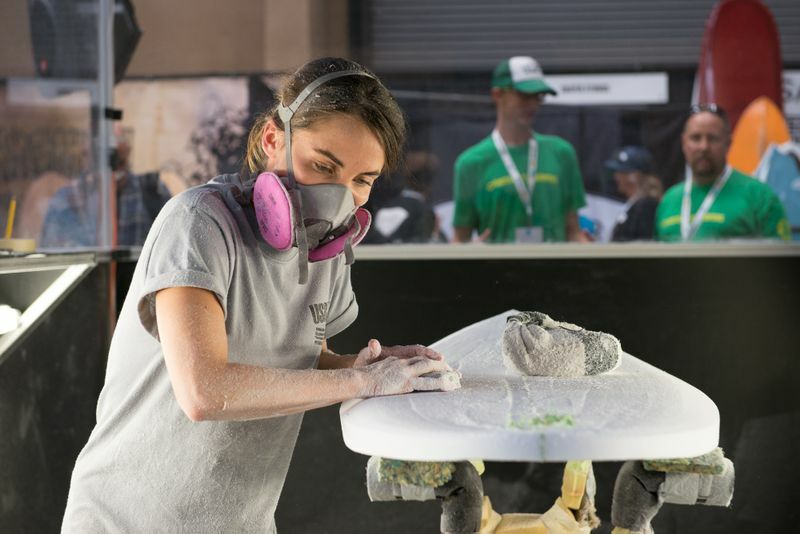 She invests care and passion into each piece of foam that she shapes, hoping to plant a seed that will help nurture positivity and self-growth in each person riding her boards. Growing up in a suburb of Paris, Valerie did not have any interaction with surfing. She took up surfing later in her life, when she moved to California with her husband. And even then, she did not become a surfer right away, but delved into tandem surfing for several years before riding a surfboard all on her own. Today, Valerie lives in Encinitas, California, where she works as a full-time biochemist. In between work, family life (she’s also a mother), and her regular surf sessions, she is also the shaper of Mére-Made Surfboards. In an interview for Still Got Stoke, Valerie said, “I didn’t find shaping, shaping found me.” She found an abandoned board on the beach that she took home to repair and paint, instilling new life into it. She immediately became hooked. French shaper David Charbonnel trained her in his workshop, and it wasn’t long before Valerie got invited to prestigious shaping bays, receiving training from legendary shapers. For Valerie, shaping is a side-business. She builds her surfboards in a shed that her husband made for her in their backyard. Her specialty is performance shortboards, but she creates custom boards for all levels. For Valerie, shaping is a form of art, which happens to be useful too. 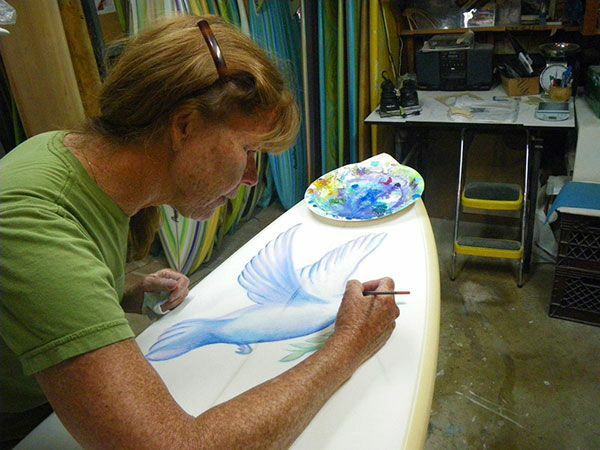 A pioneer of women’s surfing, Cher Pendarvis is a California native and an all-around artist. She started surfing when she was young, but because of her conservative family, she led a secret life. Cher started patching surfboards to earn money to buy her own surfboard, a used 9’7” O’Hare. During college, she shaped boards to support her endeavors. 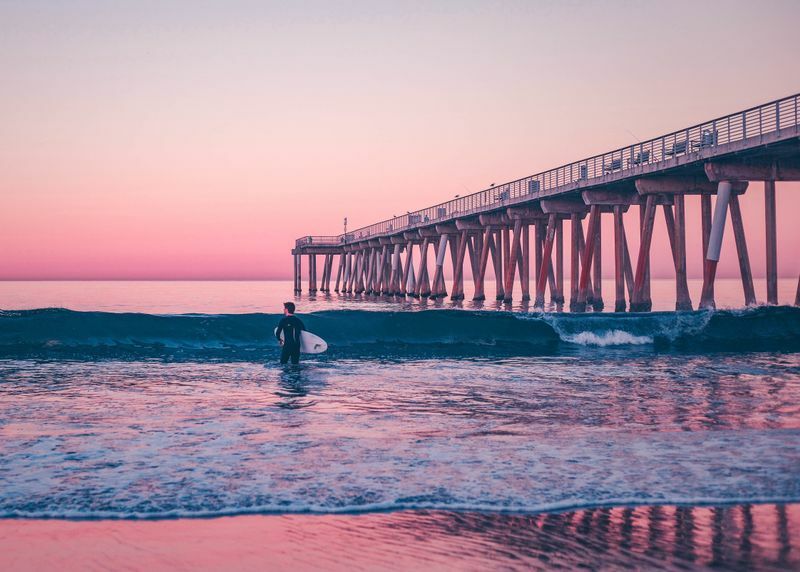 Cher was one of the first surfers to ride a Fish, a short, stubby, wide, and split-tailed surfboard that offers both stability and maneuverability. Steve Lis himself, inventor of the Fish, was a friend of Cher’s, and he would often let her watch him shape. In 1974, Mike Casey, shaper at Channin Surfboards, invited her on his team and she became the first and only woman in the surfboard factory. She created surfboards and fin designs, and drew logos. She was the first female staff member at Surfing Magazine, where she worked as an Art Associate. She also became a founding member of the Women's International Surfing Association (WISA) and a contributing writer for The Surfer’s Journal. Throughout the 1970s, she pioneered and surfed almost every remote point break in Baja California. 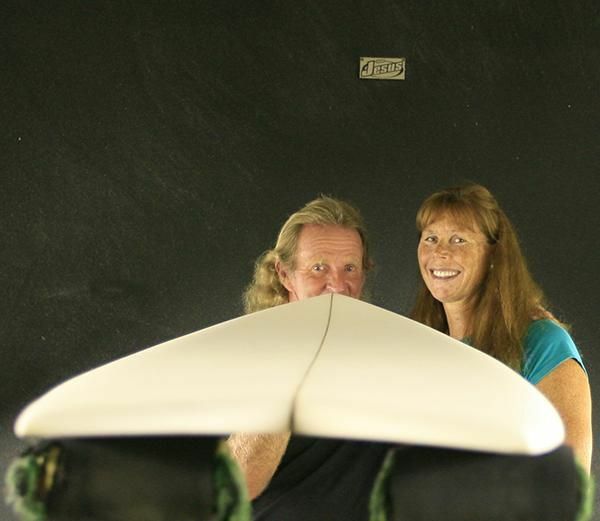 Together with her husband, Steve Pendarvis, she designs, shapes, and builds Pendo Surfboards. Cher creates 100% handmade and custom-designed boards, with a knack for Fish, Egg, Paipos, and Step-ups. In 2012, a surfboard that Cher designed in the late ‘70s was featured at California's Designing Women exhibition, held at the Autry Museum in Los Angeles. Hers was the only surfboard to be featured in the show. Yet another California native, Ashley Lloyd discovered shaping while studying music at college. In 2005, she joined Bing Surfboards as a team rider and shaper, having two signature models. In parallel, she was establishing her own custom surfboard label – Ashley Lloyd Surfboards. Longboarding is her number one passion, and Ashley specializes in 9ft+ longboards for the mellow waves of Santa Cruz. She also builds Fish, Eggs, and shortboards. At first, she shaped and glassed all the surfboards that she made. 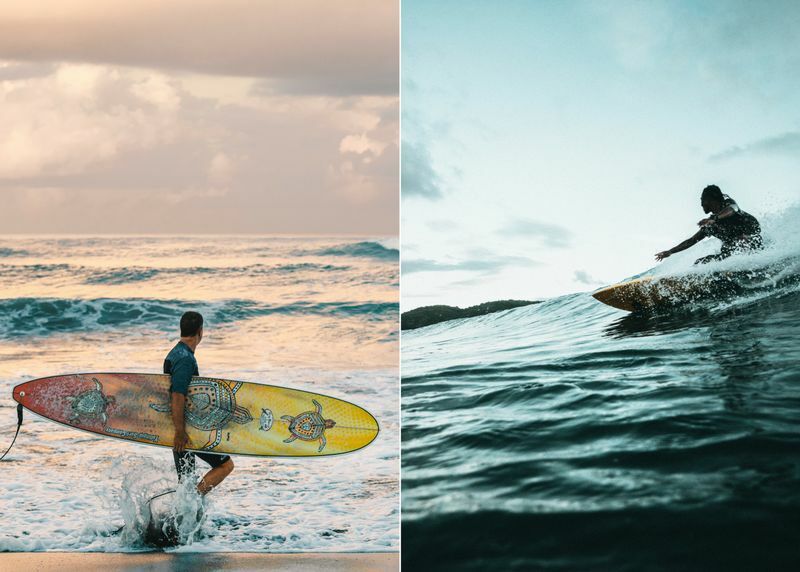 Today, Ashley Lloyd Thompson works closely with her husband, Alex Thompson, who glasses her limited-edition surfboards in the Greenest Glassing bay. 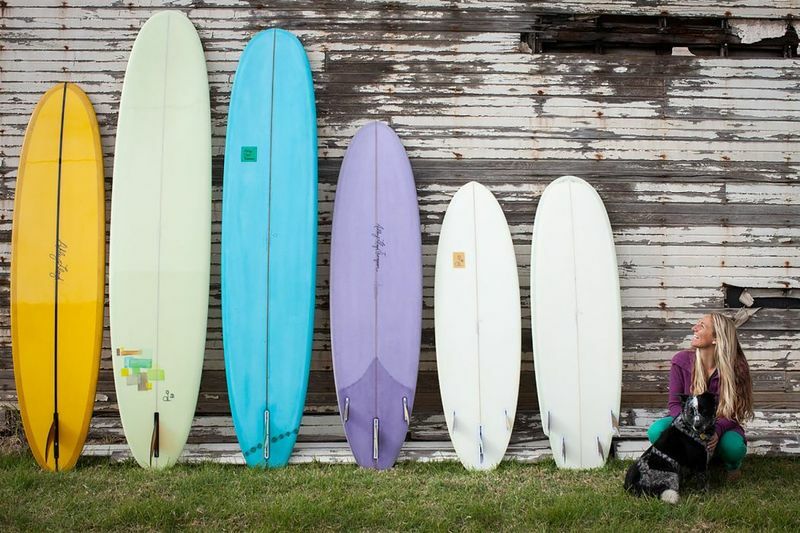 Together with her husband, Ashley strives to make surfboard building a sustainable craft. All her boards are ECOboards, certified by Sustainable Surf. Most of her boards are made from post-consumer EPS (expanded polystyrene). She also creates PU (polyurethane) surfboards that are glassed with a high bio content entropy resin. Ashley signs her boards “made with love”, and juggles between shaping, teaching surfing, and playing music together with her husband in their band, The Shapes. Although her boards are called Everyday Surfboards, they are anything but. Kelly creates 100% handcrafted boards, which she shapes in Los Angeles. Everyday. A California native, Kelly resides in Sierra Madre, in the San Gabriel Mountains north of Los Angeles, with her husband and son. In her shaping bay located in fast-paced Los Angeles, she builds a variety of boards, combining retro and modern lines together with her own innovative design ideas. 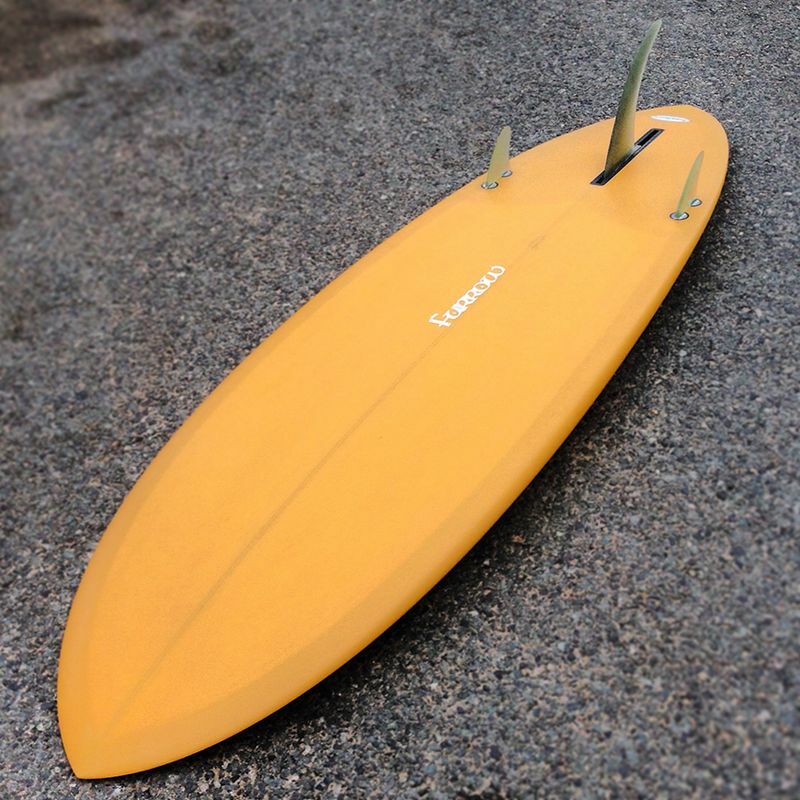 She aims to shape surfboards that are both functional and aesthetically pleasing. Before getting into shaping boards, Kelly had been refurbishing furniture for years, so she was well accustomed with using tools. In an interview for The Surf Channel, she revealed how it all started out when shaper Richard Wisz took her under his wing and showed her his techniques for hand shaping. Kelly shapes for both men and women, and she finds no difference between the two. Each board is unique and well thought out, specifically designed to match the surfer’s skills, age, weight, and the breaks they’ll be surfing. Kelly currently shapes surfboards and designs fins as a full-time job, finding inspiration in her everyday surroundings. The number of female board shapers is on the rise, but they are still a minority. There are certainly more women who build surfboards throughout the world, not just the ones I’ve just presented. 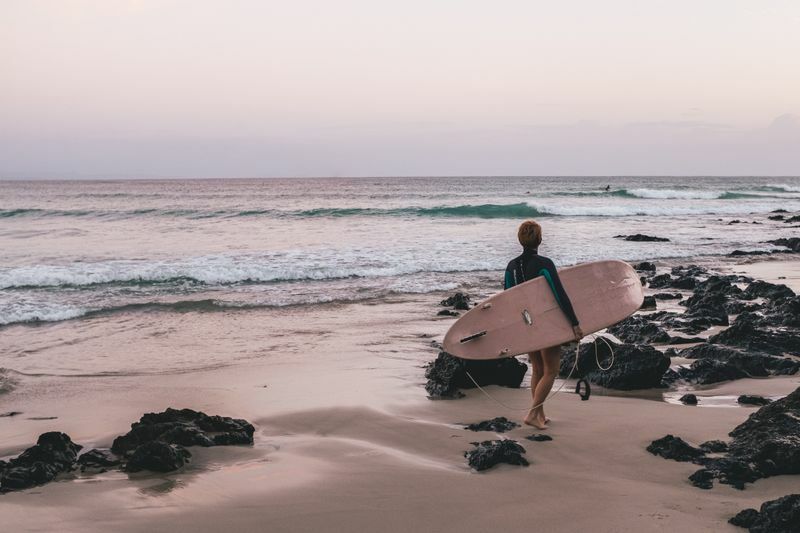 The female shapers above are revolutionizing the surfing industry and serve as inspiration for women to step up, crush all stereotypes, and do what makes them happy.